Yarn in Vintage Glass Bowl. 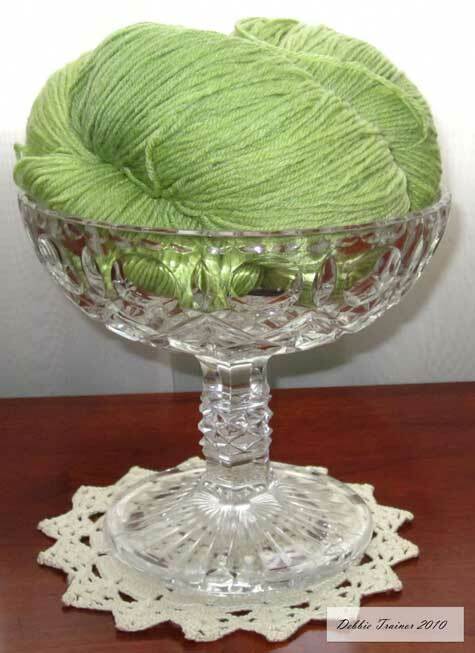 This beautiful green sock yarn is in a glass bowl that I saved from my Grandmother’s house. The crocheted doily is one that my other Grandmother made in the 1940’s.